You were surprised by this? There seems to be more work going into pre-bid compliance evaluation than was originally anticipated, however that also means less work for compliance evaluation on the other end of the process after bids are "officially in". Might be a case of more work up front and less at the back (*both fingers crossed*). At the end of the day late spring and early summer was the expected time for the competition winner to be announced. I will be more concerned if those timelines slip. What could Davie be upto? Might be a case of more work up front and less at the back (*both fingers crossed*). "Campbell said that the navy's requirements for the kinds of warships it wants and the systems that will go into them has not changed." This tells me that the requirements haven't changed but that the problem lies elsewhere... And in this case I bet the issue lies with Irving. They have too much power and control over this project... And i will bet a beer they are concerned that they can't build them the way the companies have told them the Mots designs need to be built. Probably to high of a standard required! Not to mention Canada wanting the suppliers to teach Canada how to compete with them - at the same time the French and Italians are discovering that they can't maintain their own national yards. Davie has been pushing distributed block building for a while now. If Canada were to implement distributed block build it reduces the impact inflation has on shipbuilding programs because the ships are built faster. As an example the Harry DeWolfe is 70% finished. Mainly it is missing a bow. If the bow was made concurrent with the other two megablocks (at say Davie's shipyard?) then the Harry DeWolfe would be 90% finished right now and probably be ready to float end of Sept instead of end Jan. It would also spread the wealth out to multiple shipyards across the country. In this model there would be a single prime contractor who would then subcontract out other parts to other shipyards. Well in my opinion the entire shipbuilding plan should be a national plan, controlled by the government, where we hand out the work to yard for certain parts of the program, as you stated say Davie and others build blocks, Irving assembles and finishes. The government would get ships faster, everyone get's work, and if we planned it right we could keep the yards busy constantly for decades to come. In my opinion, I will not see a CSC in the water within the remaining span of my career. I have my doubts that we'll see steel cut in that time. In my opinion and experience, the yard that is most likely to build them is incapable of providing a properly refurbished Frigate back to the navy without what I can only call "willful deliberate sabotage" and once the ships are back in the hands of the navy, there is still months of work left to do prior to seaworthiness. The idea that our government could somehow manage this build better than industry is only possible because of what I feel to be the incompetence of the yard most likely to build them. Again, those are my opinions, based on my experience. The fact we continue to give that yard tax dollars, breaks and contracts boggles my mind. I'm more boggled that we don't make them properly fulfill the contract without penalty as we always let them slide on things. They always get a hall pass. The maritimes voted liberal, almost unanimously. Without them, Trudeau is the leader of the opposition. La Belle Province not so certain. Logically I would support Irving too, regardless of product. In June the federal government more than doubled the $26-billion budget to build 15 new Canadian Surface Combatant vessels — the first of which is expected to be delivered in 2026 — to $60 billion. 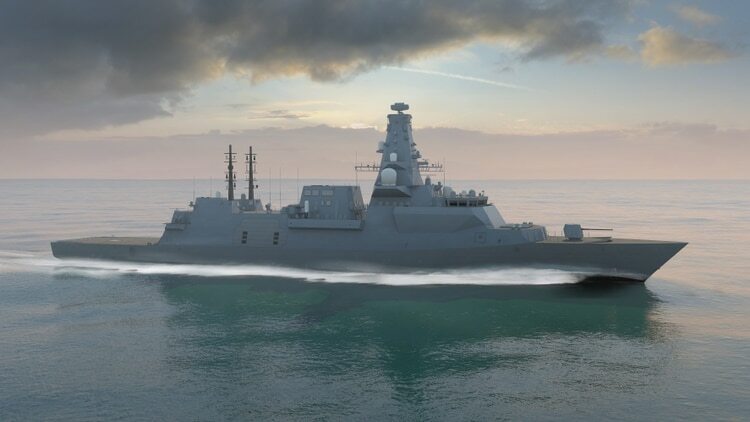 The U.K. revealed plans this week to buy five budget Type 31e general purpose frigates, on top of the eight type 26 global combat ships currently being constructed by BAE Systems, at a cost equivalent of about $400 million Canadian a piece. This is a fraction of what their Type 26 global combat ships — which are one of the designs in the running for Canada’s new fleet — will cost. Ken Hansen, a retired navy commander and defence analyst, said Canada ought to follow countries like the U.K. and Denmark in scaling back on what he calls outrageous military-grade engineering standards as well as considering purchasing some vessels with more basic capabilities. “(These standards are) driving defence procurement to ridiculously high extremes when in fact there is no imminent conflict that would justify that kind of expenditure,” he said. “Historically . . . what we have always done is a high-low mix, and it makes no sense to be sending a really high capability ship off to low risk tasks,” he said. According to Hansen, a large portion of shipbuilding costs are due to using extremely high engineering standards for systems and subsystems — things like water, power, heating and ventilation — that are commonly available, something that he said Denmark has managed to opt out of. Hansen said it was once thought that over engineering could improve survivability, but that’s no longer true with modern weaponry. “Engineering standards will not save you for a torpedo hit or high-speed missile hit. The only thing that will absorb the destructive power of modern weaponry is size. So you’re better off to build it bigger and then use redundancy to get survivability, and that’s what the Danes do as well,” he said. Instead of two diesel generators on a ship, Hansen said, the Danes will have four or six because because they’re a 10th of the cost of a military spec diesel generator. perhaps the national defence minister’s defence policy review should look very hard indeed at the minimum number of new Canadian Surface Combatants that will be needed to be seriously ready for real anti-submarine warfare–as opposed to say the essentially show-the-flag and alliance support expeditionary operations sometimes conducted by the RCN’s current frigates (which of course also are very ASW capable). Also how essential and affordable are the Navy’s few submarines for North Atlantic ASW and can we afford any substantial number of new ones down the road?.. They keep trotting out Hansen, he's not always on the mark. Like now. The difference between the RCN and the Euro navies is that we can operate 24/7. They operate 12 hours a day and then do basic bridge watch overnight. Also because they've reduced manning so much they can't fight and do damage control at the same time. Or if they take damage they have to "pull out of the line" to keep the ship alive. RCN ships can always fight and damage control together (as does UK, US and I think Australia). Civilian ship standards mean that when you do take damage it's often more severe and your ship is now a useless casualty. The RCN and gov't want ships that have the highest chance of bringing home the sailors in it alive and well. That is the highest priority for the CSC. You can't do that with civi standards. It drives me crazy to read his commentary. The old milspec standards were adapted into commercial standards, and some industries have higher requirements than milspec. What we do have is shock and vibration standards, but you take industrial equipment and shock mount it for that. WE USE INDUSTRIAL EQUIPMENT YOU DAFT GASBAG! Our requirements to have redundant equipment is no different than normal marine requirements for redundancy. No one really expects a frigate sized ship to recover from a direct torpedo hit, but with the engineering standards will drastically improve your chances as the shock mounting will drastically reduce secondary and tertiary damage from the high speed contact. Industrial equipment not shock mounted will eat the entire force of the shock wave and fail. I was on the last RCN ship to do shock testing; we found out right away what happened when something was installed that wasn't up to the milspec. Two separated generators is the bare minimum for any ship, and we also have four on every ship. Jesus H, what is he even talking about? You want to know what drives the cost of warships? Look at the expensive weapons systems and sensor packages. Aside from the material costs involved in stuff like using naval brass for piping and valves, and the relatively minimal cost for shock mountings, warships cost a lot because there are a few BILLION dollars of WAR FIGHTING gear on it. God he makes me angry. What kind of idiot would design a multipurpose ship that would only deal with known imminent threats when the build program is a twenty year program and the ships will run for 35+ years? The government of Canada has traditionally been reactionary, not precautionary in spending, and procurement, his line of thinking kinda goes along with what our country always seems to do, sadly. And that is not an insignificant part of the problem. Delivering ships in flights with shorter operational careers would save money. Take a low inflation rate of 3%. Apply it for 20 years. $100,000,000 in 2020 will be $181,000,000 in 2040. Virtually double the price for exactly the same ship - assuming you are not paying a premium to buy obsolescent parts that the market no longer supplies. Same rate of inflation applied for 35 years. $281,000,000 in 2055. Triple the original price to directly replace 35 year old technology. $100,000,000 becomes $1,478,000,000. 15 times the price or 15 ships will buy you 1. That's where the $62B price tag comes from; the PBO took the rolling cost estimates and adjust it to 2040 values. I'll see if I can find the studies on warship cost escalations (RAND?) but there are a few that show 8-10% cost escalation each year of delays. In practical purposes you can tie that to costs and makes business cases to recover schedule delays easier, as it becomes a 'pay now or pay later' issue. It'll be interesting to see how it rolls out; with the obsolescence for computers running at a 3 year cycle, configuration and obsolescence management will be a challenge between the first and last ship. BAE Systems is officially gunning for the U.S. Navy’s new frigate program with its new Type 26 frigate now in production in the U.K. The Type 26, designed primarily as an anti-submarine ship, is competing hard for both the Canadian and Australian frigate programs [emphasis added, see below on current Irving link]. Anti-submarine warfare is a key requirement for FFG(X), which BAE thinks gives its frigate an edge. The design also incorporates a large mission bay that can be used as flex space for mission modules. Irving Working with BAE Systems: Implications for RCN Canadian Surface Combatant? Defence companies and shipbuilders competing to design Canada's new fleet of warships have been given until Nov. 17 to submit their proposals. It's the third such deadline for the design competition, which is the most recent -- and arguably most politically sensitive -- phase in the entire $60-billion plan to build 15 warships. Participating firms were originally supposed to have submitted their designs for the new vessels in April, but that deadline was pushed back to June before disappearing entirely. From this page:"Also, she appeared to have a 32 cell Mark 41 VLS forward and omitted the Sea Ceptor VLSs both forward of the bridge and aft of the funnel. Aft of the funnel, she carried two quad Harpoon launchers. Lastly, she was carrying SeaRams instead of Phalanx noisemakers in her waist positions. " Not being a naval architect by trade, doesn't the helicopter deck seems a little closer to the waterline given the seas we operate in? You'll notice the black line going around the hull between the red and grey? That's the DWL or designed water line for the hull. It's got plenty of room between there and the flight deck surface. She's cool. Your probably being deceived by conceiving of that ship as in the same size range as current Halifax class frigates. She is not. She is much larger than the HALs, likely near 3000 tons more. Use the Cyclone helicopter at the stern for scale. A Cyclone is probably around 15 feet high. That makes the height of the flight deck about 12 feet above the waterline, which is more than ample enough. Moreover, you will note that the overall shape of the ship is not the more frequent parallel, or "square side and width", that is more commonly used, but somethings described as "flared hull", That is the hull flares out from the water line going up to become wider and the sides also expand out from the ship's mid-length point. As a result, the flight deck is quite protected from seas and provides a much wider landing surface for the embarked helicopter. This type of hull form also provides very good seakeeping characteristics without sacrificing speed. On top of that, its a good looking lady. P.s. : I like the 5 inch gun.